Trauma Scene Bio Services Inc. accomplishes your most challenging home tasks in the areas of hoarding and clutter cleaning. 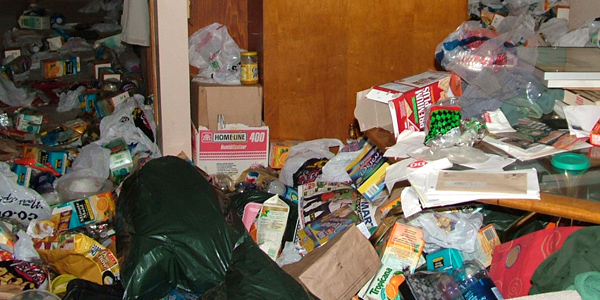 Whether it be extreme cleaning, odour neutralization or the preparation of an estate for sale, we help hoarders declutter their home by providing customer-focused, compassionate service while we get the job done. We understand the urgency you feel once you have made the decision to declutter your home and reclaim a space affected by hoarding and clutter. We will work with you every step of the way to help you declutter and create a clean, safe living environment that you will truly enjoy. We look forward to working with you. Trauma Scene Bio Services’ team of experienced professionals offers not only the best hoarding cleanup services in Alberta, but every day we demonstrate our commitment to being discreet. This is done from the moment we arrive at your home with our unmarked vehicles. We ensure that as you take these steps towards decluttering your home, everything is done in a way that most respects your privacy. The First Step to Getting Your Life Back! Whether it’s de-cluttering and cleaning up a hoarding scene, sanitizing a crime scene, or disposing of the biohazardous waste found at a crime scene, it is always best to leave these tasks to the hands of professional remediation technicians to ensure that that scene is well-cleaned and decontaminated, leaving no biohazardous materials behind. In Alberta, particularly in the areas of Calgary, Edmonton, Red Deer, Lethbridge, and Medicine Hat, Trauma Scene Bio Services Inc. is the company to call for all matters concerning safe and efficient crime and hoarding scene clean up and decontamination, and disposing of biohazardous materials.